Located minutes from downtown Seattle and Seattle-Tacoma International Airport, Hotel Interurban is the newest hotel to enter the South Seattle market. Standing 19 stories high, the hotel is the tallest building in the city of Tukwila, and the tallest between Seattle and Tacoma. When you walk into the two-story lobby, you will notice a hip, urban vibe with a unique custom-glass art installation by local artist Bryan Rubino. Throughout the chic hotel are fun pops of modern art and color to entertain. Guestrooms have a clean and contemporary design, and most upper-level rooms have a sweeping view of the surrounding area. With a focus on technology and innovation, the hotel offers sleek modern rooms with 49-inch HDTVs in its 185 guestrooms. The custom-built canopy for vehicle and guest arrivals at the hotel entrance is made up of 60 solar panels. 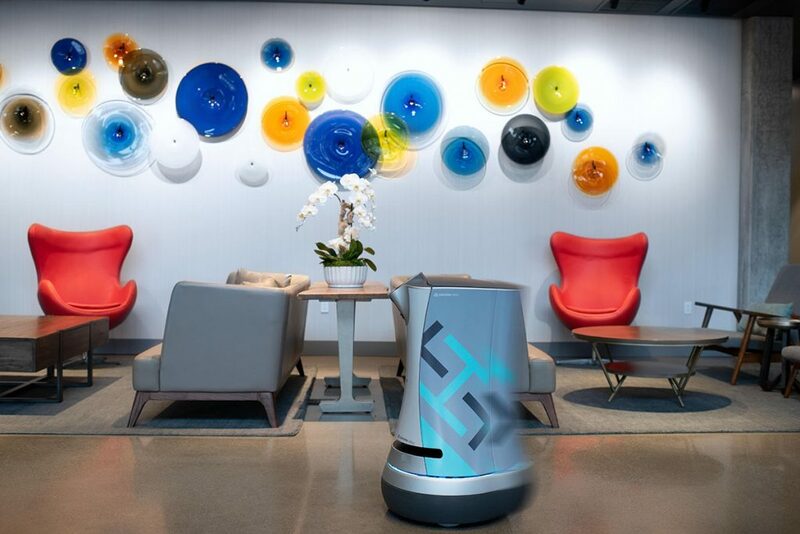 The hotel also has “Hazel,” a mobile robot that can be called on to make room deliveries, such as a bottle of wine or room service or toiletries. Named for the Native American translation of Tukwila—Hazelnut—“she” is the first house robot in Washington state. Hazel is just one of the playful and family-friendly yet innovative elements to be found at the hotel. 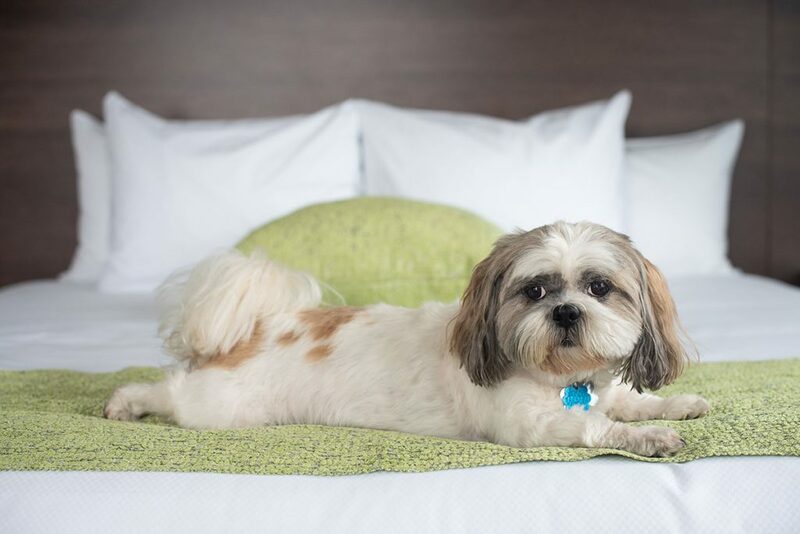 Another is that the Hotel Interurban is completely dog-friendly. Waterleaf, the hotel’s restaurant and bar, is described as offering “globally inspired comfort food.” Its all-day menu highlights locally sourced ingredients, served in a comfortable setting. The spacious premium bar offers seasonal craft cocktails and local and international wines and brews. Located within walking distance of the Southcenter mall, Hotel Interurban is the perfect place to stay for a shopping weekend or family get-together to take advantage of nearby family entertainment. The hotel has intriguing elements to entertain guests around each corner. For more information about Hotel Interurban, visit hotelinterurban.com.